Tone 6 brings the Intention of Flow. We’ve been stabilized and empowered to harness momentum for forward movement. The energy of Tone 6 is compared to a great athlete in motion. Tone 6 is a Peak Day for Performance in the upward climb of new Spiritual Growth. Wisdom/CIB connects us to the Wisdom of our Ancestors. The Old Ones evidence that Wisdom is Acquired through our direct experience. As a Yellow Day Sign of the South, CIB can complete an understanding through our Relationships that will fuel our Passion to Invest our Best Effort. The glyph is an illustration of the Mind in its Highest State of Consciousness. CIB reminds us that our Highest Consciousness is dependent on a Spirit of Forgiveness. Only through the release of our resentments are our minds Open to Receive and Connect with Higher Wisdom. CIB is the Guardian of Universal Consciousness. The sum of all Wisdom is Guarded by the Old Ones. When we see the veiled knowledge of the most secret ancient teachings, we are seeing one of ways our Ancestors preserved Spiritual Knowledge. Its integrity was maintained, as the only way to understand it is to invest oneself in Divine Contemplation. Einstein always comes to mind for his ability to access Higher Knowledge through the process he called “thought experiments.” This is exactly the way we would make a connection to the Wisdom of our Ancestors… to imagine an experience that could transform a theory into Wisdom. 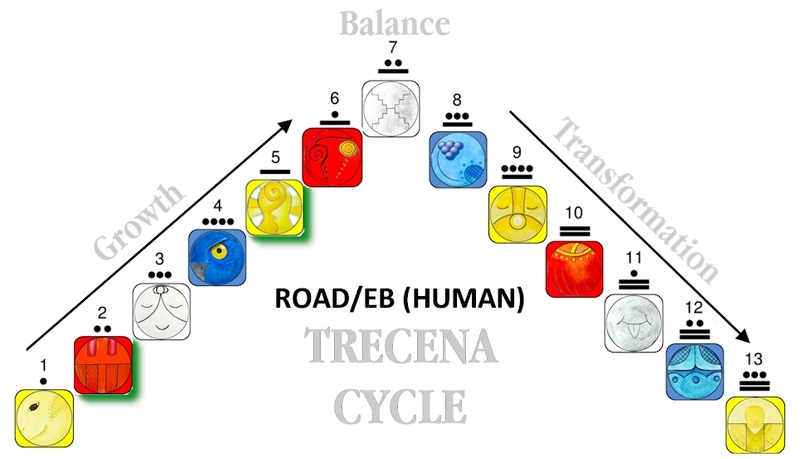 My thought experiments guided by the Monkey’s trecena have explored the idea of weaving the tapestry of my life. I think of how the smallest touches of color bring works of art to life. You could look at most any famous portrait to see the eyes were brought to life by the smallest touches of reflected light. The greatness of the Masters is born from dynamic enhancements that are barely noticeable. Our eyes aren’t drawn to the detail, but instead to the Truth in the expression. Considering my life as a work of art has helped me believe in a theory that a major transformation could be accomplished by minor adjustments. The “simple” adjustment is to redirect our focus from what needs to be changed in the world to what needs to be changed in us. We are the subject of our own Unlimited Power. Resentments are distractions from looking at our Self. Each resentment is our ego’s personal declaration that we are powerless. We only hold resentment when an outer manifestation triggers a fearful illusion. We are defeated before we begin when we see the thing that needs changing as something outside of our Self. CIB brings the Power to Heal through forgiveness. 6 Wisdom/CIB helps us establish our Highest Performance by offering the Wisdom of the Old Ones. The lines are open for us to call on the Counsel of those who accomplished the Highest States of Being. CIB would encourage us to raise the Wisdom of our Ancestors to its next higher accomplishment. To my all my relations, may we rise to our own occasion to carry on an Intention for the Greater Good of the Whole. May we offer a gift of our Forgiveness as a Healing to others and to our Self. May we release our resentment of those who think differently than we do, and redirect our attention to the fear that caused our response. May we hold Faith that the world can be transformed by an adjustment in our focus, made possible by forgiveness. Instead of considering how the World should change to suite Our Dream, the solution is held in what we would Change in Ourselves to suit the Dreams of the Whole. May we give thanks to the Ancestors for looking to the Spiritual Needs of a future generation. 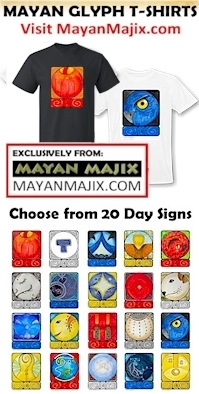 21 DAYS of CEREMONY: 1 Monkey/CHUEN marked 21 days to the K’iche Maya New Year celebrated on 8 B’atz (8 Monkey/CHUEN). Observing 21 days of prayer and sacred ceremony is a traditional preparation for the observance of the Tzolk’in calendar New Year, which is also the Initiation of the Mayan Daykeepers. 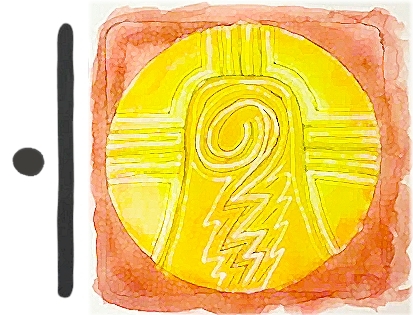 CORE DAYS: Kins 121-140 represent the 7th Uinal of Balance, the Core Days of the Tzolk’in as observed by Yucatec tradition. We complete the last 10 days of the Core Days under the Monkey/CHUEN trecena, moving to the 8th Uinal of Justice on 11 Crocodile/IMIX. Cherokee, Owl U’GUKU’ : Symbol is the Owl is Arcturus, the brightest Star in the Constellation Bootes. The Cherokee Bear constellation (Ursa Major) includes the Big Dipper plus four stars in Bootes. Owl is a hunter, who stands for the wisdom and ability of all great hunters, the cunning of a fox, the tenacity of a bulldog and strength of a bear. Energy for deep thinkers, strong-willed, rigid convictions, bold and authoritative. Owl is the Mystic Ferryman who guides Earthlings on the return path to the stars holding the torch aloft. “CIB reminds us that our Highest Consciousness is dependent on a Spirit of Forgiveness. Only through the release of our resentments are our minds Open to Receive and Connect with Higher Wisdom.” — needed this reminder, Debra. “The “simple” adjustment is to redirect our focus from what needs to be changed in the world to what needs to be changed in us.” — Amen, sister! The Old Ones evidence that Wisdom is Acquired through our direct experience – not according to mister lovecraft ! The “Old Ones” (capital) are the ascended masters. LOL I’ve been reflecting on how there’s a small handful of them.